Cathedral Peak Hike at its best! The Drakensberg mountain range in South Africa is hikers paradise!! It is also fast becoming one of the top hiking destinations in the world. And it is no wonder!! The range extends roughly north east to south west for over 1,100 kilometers. The average height is 3,100m with the highest summit known as Mafadi situated at a height of 3,451m. The Drakensberg was deservedly named a World Heritage site bank in 2000. The massive towers and spires of basalt and sandstone are unique and incredibly beautiful. It is no wonder Tolkien was inspired by these majestic mountains to create the Misty Mountains in his Lord of the Rings saga. There are over 100 different hiking routes to found in Drakensberg. A lot of one day hikes and many multi day hikes. One of our favourite and popular guided hiking routes is up to the summit of Cathedral Peak at 3,004m. What Makes Our Cathedral Peak Hike So Unique? 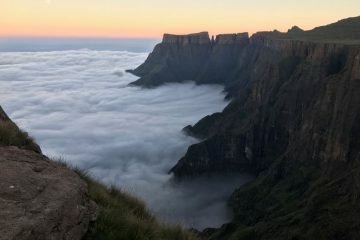 Although there are many incredible peaks in the Drakensberg from Monks Cowl, the Injasuthi Triplets, Devils Tooth and the Sentinel to name a few, there are very few that can actually be summited. Cathedral Peak is one of a few free standing peaks that can be summited. The last 100m to the summit is pretty exposed and the use of ropes is recommended. Hikers with a fear of height would not be comfortable on the last section. Having said that, all the other peaks of the Drakensberg would require a high level of technical experience in rock climbing to reach the summits. This Cathedral Peak Hike is totally doable for the average hiker. And the views from the summit are totally worth it. On a clear day, you will get to see the Amphitheatre ridge 50km to the North, the Rockeries section of Mnweni Valley and Champagne Castle 40km to the South. Although the last 100m to the summit can be a tad daunting, the rest of the hike is non technical and offers some incredible views. 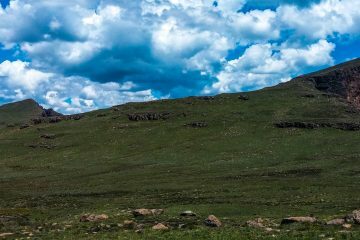 So yes, it is possible to hike in the Drakensberg alone. But we do not recommend it. Although Cathedral Peak is pretty straight forward from a navigational point of view, many of the other routes in mountains require an excellent level of map reading and navigational skills. 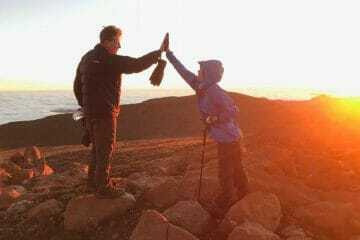 And of course, it is way better joining a guided hike as all the logistics, food, guiding and other unforeseen circumstances like weather, terrain, routes are taken care of by the guiding company. Where does the hike start from? We are the only hiking company in South Africa that offers transport from Johannesburg to Cathedral Peak for hiking tours. But of course, we are also equipped to meet guests in the Drakensberg. The Cathedral Peak hike starts from the Cathedral Peak Hotel parking. The hike covers about 28km in total. Totally doable. 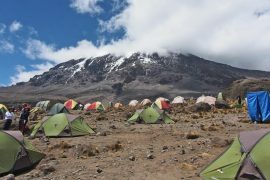 On our guided tour, we complete the circuit in 3 days, spending 2 nights camping in the mountains. Is this hike for beginners? Yes. 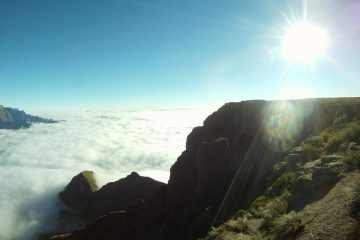 In fact, this is our introductory route we like to use to introduce new hikers to the Drakensberg. A 28 km hike over 3 days is just the right measure to test hikers physically as well as mentally without breaking them. We don’t want to break hikers just yet. 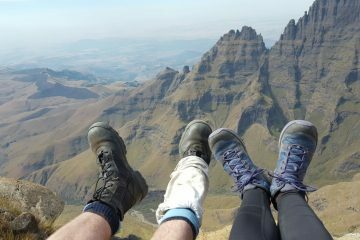 We want them to not only enjoy the experience but come back to the Drakensberg again. We offer more challenging 3 day and 4 day hikes for more experienced and fit hikers. These include hikes that cover over 45km in 3 days like the Mnweni or Champagne Castle routes. Or there is the 67km hike to Mafadi, the highest mountain in South Africa. 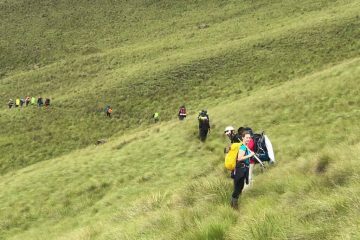 The perfect Drakensberg hiking and camping tour for those of you who are looking for a less strenuous hiking experience. We spend 4 days and 3 nights in one of the most incredible and remote areas of the Drakensberg. 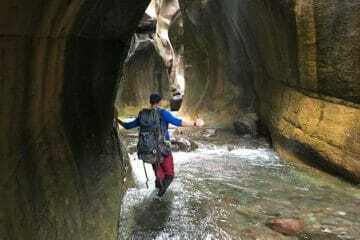 Guided Drakensberg Mnweni Hike, A definite highlight of this hike is sleeping in Ledgers cave on the second night. 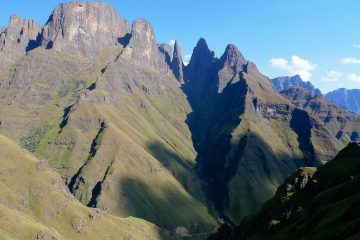 Enjoy the 7 Day Mini Traverse hike through the Drakensberg. Our qualified guides will be with you all the way. Hike the Drakensberg cathedral Peak route with amazing panoramic awaiting you at the summit. One for the bucket list! 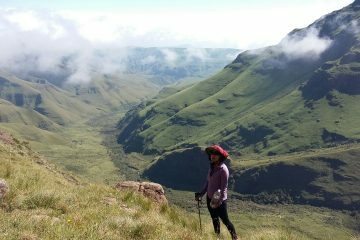 Enjoy the Guided Drakensberg Amphitheater hike with South Africa Adventures! Perfect opportunity to start your hiking passion. What the hiking experience on the Cathedral Peak route is all about. Basically South Africa Adventures and the guides arrange everything. Transport, tents, hiking permits, food, cooking and eating utensils are taken care of. All you would need is a backpack, sleeping bag and hiking clothing to survive in the mountains for 3 days. Our guides will cook meals for you. They will get you settled into camp every night. And of course they will guide and motivate you on the mountain to the ensure a safe and successful summit attempt. What you will be required to do? Our guided hike on Cathedral Peak is basically a self-sufficient and interactive experience. So you will be required to carry your own backpack, sleeping bag and clothing, And maybe a few odds and sods like coffee, snacks etc. When we get to camp, you will need to sort yourself out in terms of ‘nesting’ ( for lack of a better word). This basically means you will take out your sleeping mat, fluff out your sleeping bag and sort yourself out for bed time. You will also be required to fetch water form the waterfall a mere 5 minutes form the camp. And of course, there is the cleaning of your eating utensils. You will be issued with a cup, spoon and plate for the duration of the hike. It is up to you to keep them clean and present them to the cook at meal times. We are in he Drakensberg hiking every 2 weeks. We sometime set scheduled dates depending on holidays and demand. But our normal modus operandi is setting dates based on our clients requests. So basically you let us know when you are looking at going. We then create and publish an event on our social media platforms and create a group. Easy Peasy. We average between 4 and 10 people. The cave can only sleep 12 people. 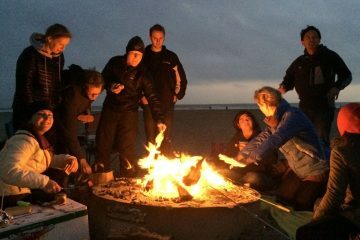 If the need arises and there is a big group of friends wanting to hike, we bring tents and extra guides to compensate for the increase in numbers. 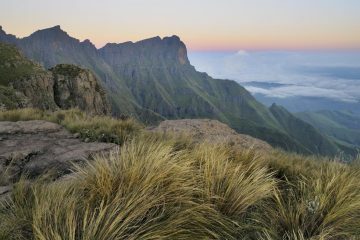 When is the best time to hike in the Drakensberg? What hike equipment is needed for the hike? We have rain ponchos, sleeping bags, backpacks and walking poles that can be rented from us if you do not have. So where is Cathedral Peak Situated? 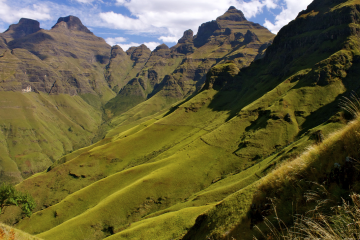 The Drakensberg range can be basically divided into the Southern, Central and Northern areas. The Southern area is made of up the Giants Castle and Injasuthi valleys. 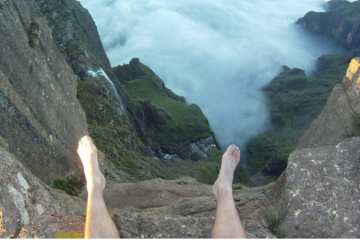 The Northern Drakensberg includes the world famous Amphitheatre cliff as well as the remote Mnweni valley. 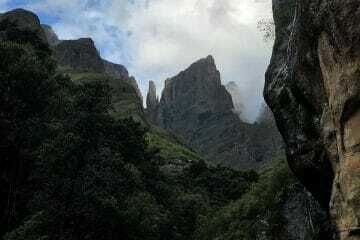 It is in the Central Drakensberg that the Cathedral Peak area can be found. The closest town to Cathedral would be Bergville, about a 4 hour drive from Johannesburg and Durban. We leave Johannesburg at 5am. The drive down takes about 5 hours (including a breakfast stop in Harrismith). We aim to be at the Cathedral Peak Hotel by about 10H30. We then take an hour or so to prepare for the hike, check equipment and hold a hike briefing. Aim to start the hike by 12H30. The hiking distance today is only 4.2km. The terrain has a few flattish sections with one or two steeper sections that need to be tackled. The altitude gain is about 400m. We spend the night in Shermans Cave. In fact, this is our base camp for the next 2 nights. Once we arrive, we set up camp, cook, eat, share stores and sleep. The most challenging day of the total hike. We wake up at 5am, have breakfast and start hiking by 6:30am. The hike covers 18km with an altitude gain of over 1100m. So yes. Mostly uphill for 9 km with a 2 km flat section in-between. We aim to make the summit of Cathedral Peak by 12:30pm. The last 150m is pretty exposed. If you have a fear of heights, it is best you turn around at this point. We set up an anchor point with a rope and attach hikers to a climbing harness. The climbing is not difficult, it is just a safety precaution as the drop is pretty severe and one mistake will not land up good at all. We will spend about 30 minutes on the summit before heading back done again. Another 9km downhill. All in all, looking at about 11 hours of hiking today. We wake up at 6am, have breakfast and take the 2 hour hike back down to the start of the hike. So back down by say 10am. Then we take the 5 hour drive back to Johannesburg.